Raleigh is the largest city in Wake County and the second largest in the state of North Carolina. It is the capital of the state as well as the county seat. Raleigh is known as the “City of Oaks” for the numerous oak trees that line the streets. The city was named for Sir Walter Raleigh, who settled the Roanoke Colony. It is one of the fastest-growing cities in the country. Shown in this photo is the evolving downtown Raleigh skyline. Raleigh was chosen as the state capital in 1788 due to its inland location, which provided protection from attacks. It was established as county seat and state capital in 1792 and incorporated on December 31, 1792. The location was chosen because it sat close to a tavern frequented by state legislators. No known city was established on the land beforehand, making Raleigh one of the few cities chartered specifically to be a state capital. The original boundaries still stand as North, West, South, and East streets. In 1831, a fire destroyed the State Capitol. Reconstruction began with granite materials and citizens celebrated the reopening in 1840. In 1853, the first State Fair was held. Peace College was established in 1857. During the Civil War, Raleigh was captured in General Sherman’s Carolinas Campaign. Retreats to the west led to the battle of Morrisville. After the Civil War, the primarily agricultural area suffered. In 1865, African American populations were emancipated and the first classes were held at Shaw University, later chartered in 1875. The North Carolina College of Agriculture and Mechanic Arts opened in 1887, now known as North Carolina State University. Rex Hospital opened in 1889, and Meredith College opened in 1891. Throughout the 20th century, big business increased and Raleigh saw the construction of arenas, concert halls, and town centers. 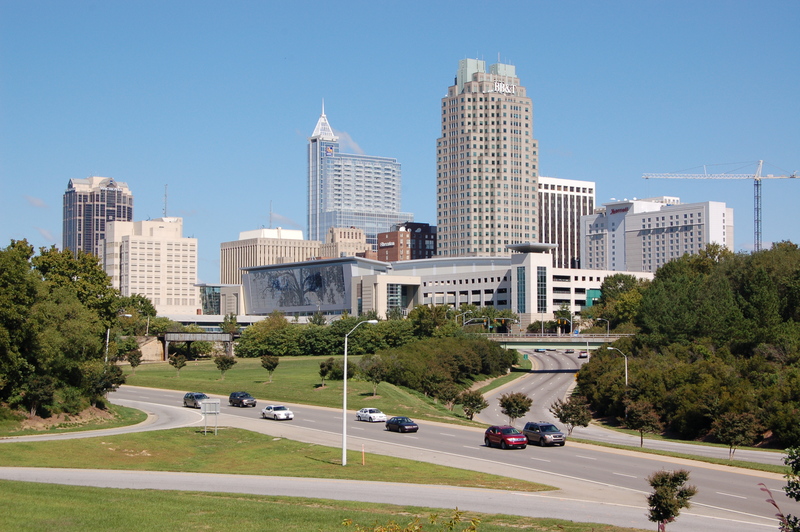 With the opening of Research Triangle Park, the population of Raleigh increased significantly. 11.5% of the population and 7.1% of families live below the poverty line.